Charles E Epperson is the Chief Technology Officer for Evolve Mortgage Services Family of Companies which includes Evolve, SigniaDocuments and DepotPoint. He has over 20 years of Information Systems and IT management experience in the areas of operations, programming, business analysis, software design and development, and electronic commerce and eMortgage technologies / implementation. Charles joined the Evolve Family in 2009 after 10 years spent with Stewart Title in the leadership role of eMortgage technology and development. He received his M.S. in Computer Science from the University of Arkansas at Little Rock in 1999. 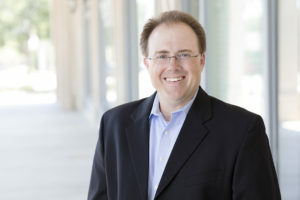 In his current position, he is active in the research, development and implementation of paperless real estate transactions, electronic intelligent document production, electronic mortgage transactions and e-closings utilizing enforceable electronic document, digital signatures, electronic storage, delivery, and the use of secure virtual transaction folders for all real estate transaction participants. In cooperation with the Property Records Industry Association (PRIA) and the Mortgage Industry Standards Maintenance Organization (MISMO) Technology Workgroups, Charles has co-authored many real-estate industry national data standards, including the MISMO Title Insurance Request/Response, Multiple Services, and the PRIA Electronic Recording/Request/Response/SOAP XML DTDs and Schemas. Likewise, he is actively working on industry standards for electronic mortgage transactions and XHTML SMART® Doc documents as well as various business and technologies for the county and municipal courts and recorders/clerks offices. In addition, Charles maintains leadership positions in many of the industry committees, workgroups and organizations. He serves as the Chair of MISMO Education & MISMO Board ex-officio, Co-Chair of the Title workgroup for MISMO, a member of the Council of Chairs for MISMO, Past-Chair of the Document Custody Workgroup, a member of the ALTA Technology Committee, and Co-Chair of the Membership Marketing Committee for PRIA. He has also been elected to the Board of Directors for the PRIA, the MISMO Residential Standards Governance Committee, and was selected in 2009 as a “Technology All-Star” for Mortgage Banking Magazine.